A visit to Ein Sinia. Dov & Rivka Hoz at left. 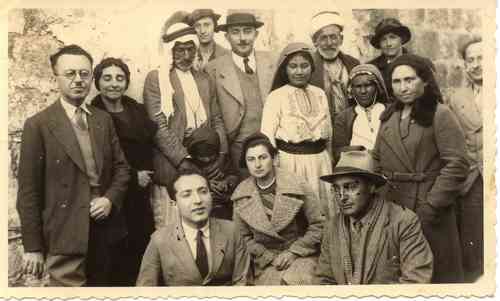 Moshe Sharett in center, Abu Auda to his right. Tzippora Sharett at right.